Our threading services offer precise hair removal for your eyebrows, upper lip and other areas of the face. Threading is a hair removal technique where a thin thread is twisted and rolled over areas of unwanted hair. 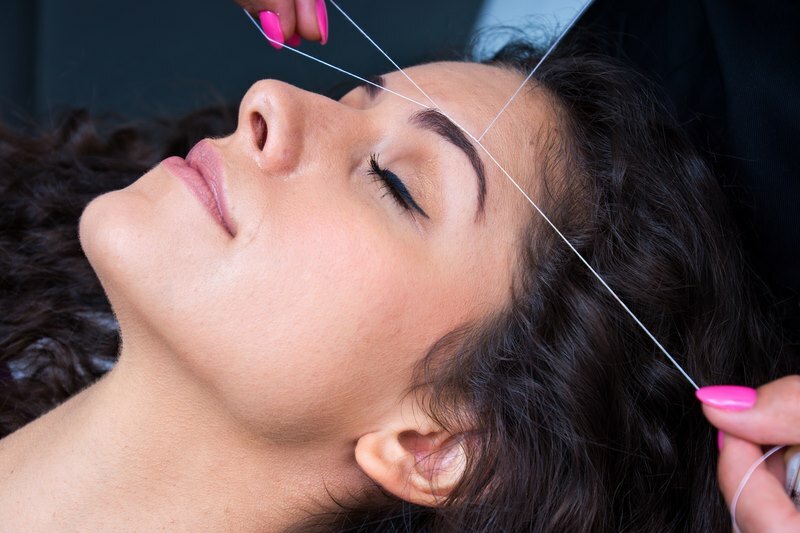 Advantages of threading over other forms of hair removal, such as waxing, is that threading allows for a more defined and precise shape and can create a better definition for eyebrows. Threading is also used as a method of removing unwanted hair on the entire face and upper lip area. Threading is not a good method for removing hair on other areas of the body as hair elsewhere is often quite coarse and there is too much to remove. Update your look with beautifully defined eyebrows, or remove unsightly facial hair with our threading services. Whether you’ve got an event coming up or you want some everyday glamour, book with us at Sajjan Hair and Beauty today.